Raw Cacao is a powerhouse of Nutrition! Cacao components include: alanine, alkaloids, alpha-sitosterol, alpha-theosterol, amylase, arginine, ascorbic-acid, ascorbic-acid-oxidase, aspariginase, beta-carotene, calcium, dopamine, fructose, glucose, glutamic-acid, leucine, linoleic-acid, lipase, lysine, niacin, peroxidase, phenylacetic-acid, phenylalanine, phosphorus, riboflavin, rutin, tannins, theobromine, thiamin and many other things. Cacao seeds contain fat, usually around 40%, consisting of oil of cacao, cacao butter, theobromine (.9% to 2.35%), small quantities of theine (.05 to .37%), starch, ash and protein matter (6% to 17%). These percentages vary due to the decomposition of glucosid influenced by fermentation. Theobromine may act as a diuretic, and has a stimulant or exciting action not possessed by chocolate itself. Theobromine and theophylline, like caffeine, all found in this plant are used in modern medicine as antiasthmatic. 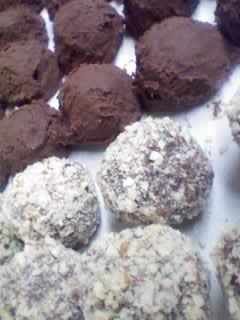 Cacao is derived from Theobroma Cacao beans, which literally means “Food of the Gods”. Cacao contains over 300 compounds including: protein, fat, carbohydrates, fiber, iron, zinc, copper, calcium and magnesium. Magnesium helps to build strong bones and is a muscle relaxant associated with feelings of calmness. Cacao is also high in sulfur, which helps form strong nails and hair. In addition, cacao also contains the chemicals phenylethylamine (PEA) and anandamide. PEA is an adrenal-related chemical that we create naturally when we’re excited. It also plays a role in feeling focused and alert because it causes your pulse rate to quicken, resulting in a similar feeling to when we are excited or fall in love! Another ‘bliss’ chemical found in chocolate is the lipid anandamide. It’s there in our brain when we feel great. Anandamide is also called “chocolate amphetamine” as it causes changes in blood pressure and blood-sugar levels, leading to feelings of excitement and alertness. If you are consuming traditional chocolate with sugar then calcium loss is even greater as sugar excretes calcium reserves from our body even more so than oxalic acid. Theobromine has a similar effect to caffeine, but about 10 times weaker. Theobromine has diuretic, stimulant and relaxing effects. Theobromine can lower the blood pressure because it can to dilate blood vessels. Theobromine has stimulant properties, similar to caffeine. Unlike caffeine theobromine does not affect the central nervous system. Theobromine can also relax bronchi muscles in the lungs. Theobromine can be used as cough medicine. Studies indicate that theobromine acts on the vagus nerve, which runs from the lungs to the brain. Caffeine acts on the nervous system by blocking adenosine receptor thereby slowing down nerve cell acitivity. Caffeine stimulates the central nervous system, respiration and blood circulation. Caffeine also acts as a diuretic. Caffeine increases the circulation and oxidation of fatty acids. This is why caffeine is used by sportsmen to increase fatty acid metabolism. Caffeine is often used in combination with aspirin to treat headaches. Caffeine can also have negative impact on health, especially if overdosed. There is evidence that too much caffeine can reduce bone density and caffeine is not recommended for pregnant women. Moderation is the key to caffeine consumption. Phytochemicals are non-nutritive plant chemicals that have protective or disease preventive properties. They are nonessential nutrients, meaning that they are not required by the human body for sustaining life. It is well-known that plant produce these chemicals to protect themselves but recent research demonstrate that they can also protect humans against diseases. There are more than thousand known phytochemicals. Some of the well-known phytochemicals are lycopene in tomatoes, isoflavones in soy and flavanoids in fruits. How do phytochemicals work? There are many phytochemicals and each works differently. •	Antioxidant – Most phytochemicals have antioxidant activity and protect our cells against oxidative damage and reduce the risk of developing certain types of cancer. Phytochemicals with antioxidant activity: allyl sulfides (onions, leeks, garlic), carotenoids (fruits, carrots), flavonoids (fruits, vegetables), polyphenols (tea, grapes). •	Hormonal action – Isoflavones, found in soy, imitate human estrogens and help to reduce menopausal symptoms and osteoporosis. •	Stimulation of enzymes – Indoles, which are found in cabbages, stimulate enzymes that make the estrogen less effective and could reduce the risk for breast cancer. Other phytochemicals, which interfere with enzymes, are protease inhibitors (soy and beans), terpenes (citrus fruits and cherries). •	Interference with DNA replication – Saponins found in beans interfere with the replication of cell DNA, thereby preventing the multiplication of cancer cells. Capsaicin, found in hot peppers, protects DNA from carcinogens. •	Anti-bacterial effect – The phytochemical allicin from garlic has anti-bacterial properties. •	Physical action – Some phytochemicals bind physically to cell walls thereby preventing the adhesion of pathogens to human cell walls. Proanthocyanidins are responsible for the anti-adhesion properties of cranberry. Consumption of cranberries will reduce the risk of urinary tract infections and will improve dental health. A ‘lipase’ is a water-soluble enzyme that catalyzes the hydrolysis of ester chemical bonds in water-insoluble lipid substrates. Lipases thus comprises a subclass of the esterases. Lipases perform essential roles in the digestion, transport and processing of dietary lipids (e.g. triglycerides, fats, oils) in most, if not all, living organisms. Genes encoding lipases are even present in certain viruses. (PEA) is an adrenal-related chemical that is also created within the brain and released when we are in love. This is one of the reasons why love and chocolate have a deep correlation. PEA also plays a role in increasing focus and alertness. 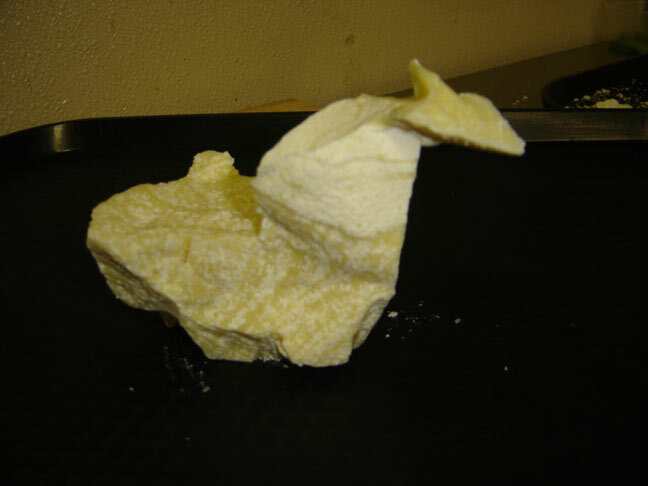 (PEA) is a natural monoamine alkaloid, trace amine, and psychoactive drug with stimulant effects. In the mammalian central nervous system, phenethylamine is believed to function as a neuromodulator or neurotransmitter. It is biosynthesized from the amino acid phenylalanine by enzymatic decarboxylation. Besides mammals, phenethylamine is found in many other organisms and foods such as chocolate, especially after microbial fermentation. It is sold as a dietary supplement for purported mood and weight loss-related therapeutic benefits; however, orally ingested phenethylamine is usually inactive on account of extensive first-pass metabolism by monoamine oxidase (MAO) into phenylacetic acid, preventing significant concentrations from reaching the brain. A neurotransmitter called anandamide, has been isolated in cacao. Anandamide is also produced naturally in the brain. Anandamide is known as “The Bliss Chemical” because it is released while we are feeling great. Cacao contains enzyme inhibitors that decrease our bodies’ ability to breakdown anandamide. This means that natural anandamide and/or cacaoanandamide may stick around longer, making us feel good longer, when we eat cacao. Cacao seems to diminish appetite, probably due to its monoamine oxidase enzyme inhibitors (MAO inhibitors) – these are different from digestiveenzyme inhibitors found in most nuts and seeds. These rare MAO inhibitors actually produce favorable results when consumed by allowing more serotonin and other neurotransmitters to circulate in the brain. MAO inhibitors facilitate youthening and rejuvenation. MAOIs should not be combined with other psychoactive substances (antidepressants, painkillers, stimulants, both legal and illegal etc.) except under expert care. Certain combinations can cause lethal reactions, common examples including SSRIs, tricyclics, MDMA, meperidine, tramadol, and dextromethorphan. Agents with actions on epinephrine, norepinephrine or dopamine must be administered at much lower doses due to potentiation and prolonged effect. Nicotine, a substance frequently implicated in tobacco addiction, is not significantly addictive when administered alone. The addictive potential manifests itself after co-administration of an MAOI, which specifically causes sensitization of the locomotor response in rats, a measure of addictive potential. This may be reflected in the difficulty of smoking cessation, as tobacco contains a naturally-occurring MAOI in addition to the nicotine. Chocolate has a centuries-old association with health and energy, going back to ancient Mesoamerica and the Aztecs. But modern science, too, has spent decades looking at the compounds in chocolate to back up the lore. A number of compounds in the classes called flavonoids and flavonols found in cocoa products, including dark chocolate and less so in milk chocolate, show evidence of contributing to the maintenance of heart and vascular health. Flavonoids and flavonols also are found in tea, apples, grapes and a host of other plant foods. These compounds, which include catechins, epicatechins and procyanidins, also have been linked to protective effects against other diseases, such as cancer and urinary tract infections. Another natural cocoa component associated with health is the caffeine “cousin” theobromine. Theobromine is an alkaloid in the class of compounds called xanthines or, more specifically, methylxanthines, which include caffeine and theophylline (also in chocolate, as well as in tea). According to research cited in The New York Times, fresh cacao beans are super-rich in antioxidant flavonols. Cacao beans contain 10,000 milligrams (10 grams) per 100 grams of flavonol antioxidants. This is a whopping 10% antioxidant concentration level! This makes cacao one of the richest sources of antioxidants of any food. Compare the cacao bean to processed cocoa powder (defatted, roasted cacao treated with potassium carbonate) and chocolates which range in flavonol content from the more common concentration of 500 milligrams per 100 grams in normal chocolate bars to 5,000 milligrams in Mars Corporation’s special Cocoapro cocoa powder. Research has demonstrated that the antioxidants in cacao are highly stable and easily available to human metabolism. Cornell University food scientists found that cocoa powder has nearly twice the antioxidants of red wine and up to three times what is found in green tea. Their findings were published in an article entitled “Cocoa has more Phenolic Phytochemicals and a higher Antioxidant Capacity than Teas and Red Wine,” found in the American Chemical Society’s Journal of Agriculture and Food Chemistry, a peer-reviewed publication. Scientists have known that cocoa contains significant antioxidants, but no one knew just how rich they were compared with those in red wine and green tea. The Cornell researchers, led by Chang Y. Lee, chairman of the Department of Food Science and Technology at Cornell University’s New York State Agricultural Experiment Station in Geneva, N.Y., say the reason that cocoa leads the other drinks is its high content of antioxidant compounds called phenolic phytochemicals, or flavonoids. They discovered 611 milligrams of the phenolic compound gallic acid equivalents (GAE) and 564 milligrams of the flavonoid epicatechin equivalents (ECE) in a single serving of cocoa. Examining a glass of red wine, the researchers found 340 milligrams of GAE and 163 milligrams of ECE. In a cup of green tea, they found 165 milligrams of GAE and 47 milligrams of ECE. Antioxidant ORAC levels per 100 grams. 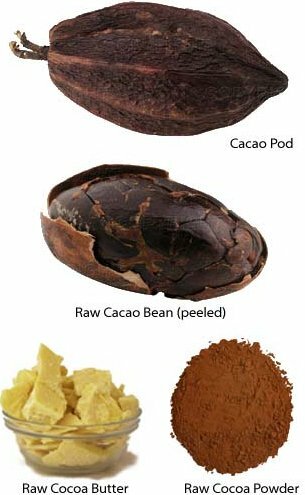 4 Responses to What is Cacao?